Instrumental Ambient Electronic Exotica. One third of the TROPICAL TRIO c.d. series which includes KIRIBATI and my award winning RAYON HULA recordings. During the summer of 2001 I read three books that influenced the music.”Playing With Water” and “Seven Tenths” by James Hamilton Paterson and “Landscapes” a monograph of the British/Australian land-artist John Wolseley by Sasha Grishin. ‘Seven Tenths’ explores the seas and oceans that cover seven tenths of the earths surface and the complex mystery of water. ‘Playing With Water’ is an account of several seasons living alone on a Philippine island. ‘Landscapes’ illustrates, investigates and explains Wolseley’s attitude towards, and his artistic interaction/collaboration with, the environment through his visual art. The ambient recordings used on this record were all recorded, by me, while traveling within what Axel Heyst, in Conrad’s novel Victory, called his magic circle. A circle ‘with a radius of (1000) miles drawn round a point in (south) Borneo.’ From Darwin, East Timor, Bali, Pulau Pangkor, Penang, Pulau Perhentian and Melaka. Improvised soundscapes with electric lap steel guitar, ukulele, mandolin, sampler, electronic percussion and environmental field recordings. Globe Notes review by Clive Bell in Resonance. The analogy between the painting hung on your wall and certain ambient music seems straightforward enough. The way the music just hangs there, not demanding that you focus on it, but available for close inspection when you’re ready. “Wallpaper music” is still used as a term of hearty abuse by those who presumably pride themselves on practising a robust, old school type of listening; a no-nonsense, crisp, manly focus on the matter in hand. All the same, the evolution of Ambient has enabled many musicians to pose questions about the shifting relationship between music and environment. 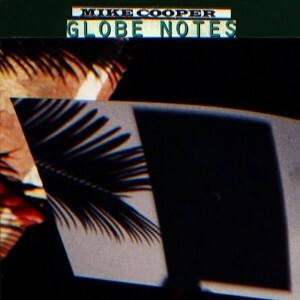 Mike Cooper’s take on the subject draws on his background in free music, low-tech electronica, exotica and Hawaiian guitar, plus a love of that Asian sea full of islands, too many to visit in one lifetime, that centres on Borneo, and which Joseph Conrad called his magic circle. Cooper has made his own environmental recordings in this part of the world – a hypnotic procession of frogs, fluting birds, insects and rain. Back home in Rome, he has added layers of playing and loops – distant curlicues of steel guitar, the fluttering of a reversed drum machine, the muted rumble of noise improv. repeating like the slap of water on the side of a boat. Music is mixed into environment so that it barely dominates – foreground and background merge. Bright strumming of a ukulele is heard, but at a distance, as if we are walking in a village and can’t be sure where the music is located. These are dream landscapes, Cooper’s personal responses to particular places. His previous Kiribati (reviewed Resonance 8:1) was a purely musical evocation of Pacific atoll islands. This time around, actual sounds of environment are included, rather than evoked. Each musical gesture is quite small, building a delicate, warm texture, and the track is often propelled by a rhythmic fragment of guitar or bass. The listener is suspended in a hammock, peering through heavy eyelids into a heat haze. Paul Gauguin’s warm paintings of bemused Tahitians come to mind, and two tracks here are titled after Australian landscape paintings: “You Yang’s Pond” and “The Green Mountain”…. heady exotica. ( Clive Bell ) . Globe Notes review by Julian Cowley in The Wire. Globe Notes actually led me to work with artist John Wolseley at a later date collaborating on a project at the Museum Of Contemporary Art in Sydney. I also produced a mini three inch c.d. to accompany that project called ‘Moving Within-Soundscape’ – a limited edition of 100 pieces.